Central Bank is practically finished with preparing its systems and training the relevant staff members needed for the effective management of the Natural Resource Fund (NRF) due to come on stream. The only outstanding task is for the World Bank to conduct an assessment to ensure that the systems in place are indeed robust. This was made known to Kaieteur News yesterday by Bank of Guyana Governor, Dr. Gobind Ganga. The official said that the World Bank has been offering its assistance since January but the final assessment is still critical to ensuring that it did not overlook any issue. Dr. Ganga stated that Central Bank is ready for the review. It is only left for both parties to agree on a date for the World Bank visit. He assured that all recommendations from the World Bank would be promptly implemented. With Guyana being new to all aspects of the oil and gas industry, several international agencies have said that it would be wise for the government to hire a custodian bank to help Bank of Guyana in the day-to-day managerial operations of the Natural Resource Fund. Specifically making this point were oil and gas experts Andrew Bauer, David Mihalyi and Fernando Patzy. All are attached to the Natural Resource Governance Institute (NRGI). The experts said that Governments can establish NRFs as special accounts within the Central Bank or Treasury or even as separate institutions. They said that custodian banks however are usually employed to help inexperienced Central Banks with accounting, tax issues and reporting on NRFs. They said, “What matters more than the physical location of the money is the Fund’s institutional structure. However, many Funds have chosen to use external custodians in countries with stable banking systems in order to safeguard the money and provide administrative support. Considering the aforementioned, the experts said that Guyana’s Fund could employ the services of a custodian bank which would support the day-to-day operational management of Bank of Guyana. The Inter-American Development Bank (IDB) has also said that Guyana faces these and other issues as it prepares to establish a NRF. 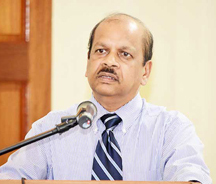 In fact, the IDB said that Guyana faces a triple challenge in attempting to establish its Natural Resource Fund since it has to decipher how to rapidly build stronger institutions; how to save for future generations and smooth consumption; and how to assure that the oil revenue spent in the short term, is planned and spent well to boost productivity and improve living standards. Given the nation’s weak institutions and poor capacity to execute projects well, the IDB said it would be recommended that Guyana save as much as possible until the quality and capacity of institutions improve. The IDB sought to highlight that simply establishing a Natural Resource Fund is not a guarantee for fiscal stability. The Santiago Principles, a list of 24 generally accepted principles and practices voluntarily endorsed by the International Forum of Sovereign Wealth Funds, provides some general guidance for countries, the IDB noted. More substantially, the Fund needs to be supported by a strong fiscal framework. The IDB is not the only international body which has cautioned Guyana’s authorities on the importance of having a robust Natural Resource Fund. The Natural Resource Governance Institute, for example, believes that there are several key factors emerging oil producers like Guyana must consider as they move to establish a Natural Resource Fund. According to the Fund, the Government of Guyana must set clear fund objective(s) (e.g., saving for future generations; stabilizing the budget; earmarking natural resource revenue for development priorities). It said that the government must establish fiscal rules—for deposit and withdrawal—that align with the objective(s); establish investment rules (e.g., a maximum of 20 percent can be invested in equities) that align with the objective(s); clarify a division of responsibilities between the ultimate authority over the fund, the fund manager, the day-to-day operational manager, and the different offices within the operational manager, and set and enforce strict ethical and conflict of interest standards. It said that the oversight bodies for the Fund must require regular and extensive disclosures of key information (e.g., a list of specific investments; names of fund managers) and audits. It said, too, that oversight bodies must be allowed to do their work without a shred of political interference. In this regard, NRGI said that international advisors should recognize that the establishment of a Fund by itself will not improve resource governance. The Governance Institute stressed that Natural Resource Funds ought to be products of fiscal rules or macroeconomic frameworks that call for savings of oil, gas or mineral revenues. It said that the minimum conditions, such as clear objectives, operational rules, investment risk limitations, effective oversight, and transparency, must be present in order to improve natural resource governance.